Northfield License Bureau is located in the Summit Plaza in Northfield, OH. the same entrance. 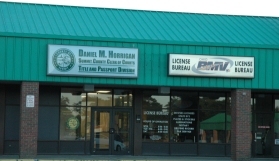 The License Bureau is to the right.